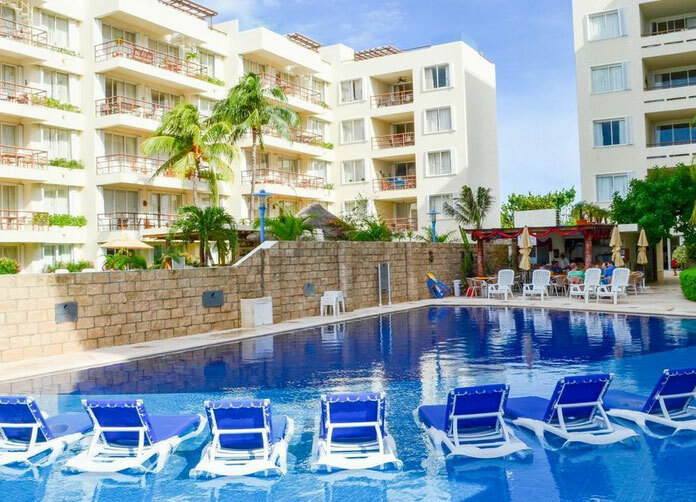 The Ixchel Beach Hotel Isla Mujeres is a tranquil upscale hotel which nestles next to the palm fringed, beautiful white powder sand beach of Playa Norte, Isla Mujeres’ most famous and popular beach. 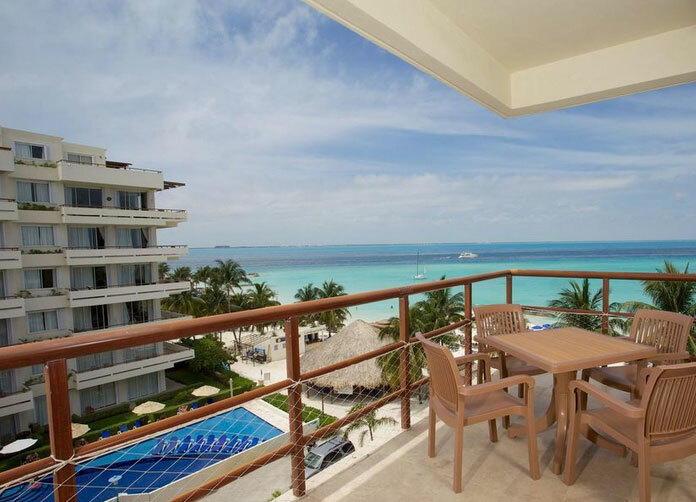 With it’s contemporary architecture, stunning views and chilled atmosphere Hotel Ixchel Beach is a favorite of those seeking an upper scale beach resort vacation on Isla Mujeres. You are invited to spend time with us, where our pampering to your every sense will ensure that it seems like you never went away from home. At Ixchel Beach Hotel our main priority is your satisfaction and to provide the very highest standards for your vacation. Our hotel has 117 rooms. 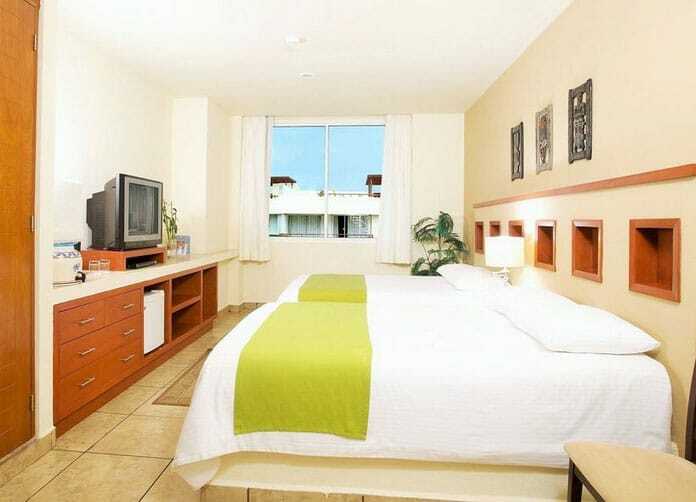 All rooms are decorated in modern, yet casual, Mexican style. In addition to the regular rooms there are also two bedroom suites, one bedroom suites and penthouse suites. Ocean front, ocean view or garden view rooms are the options available. 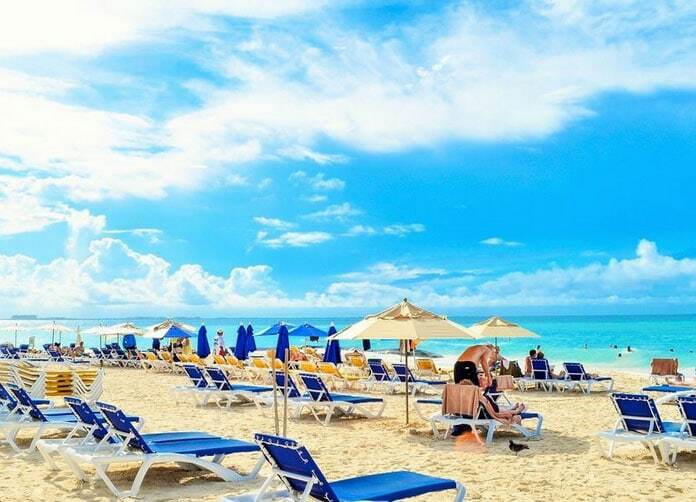 Ixchel Beach Hotel is located 30 minutes by ferry from the Cancun hotel zone on the small island of Isla Mujeres in the Mexican Caribbean. 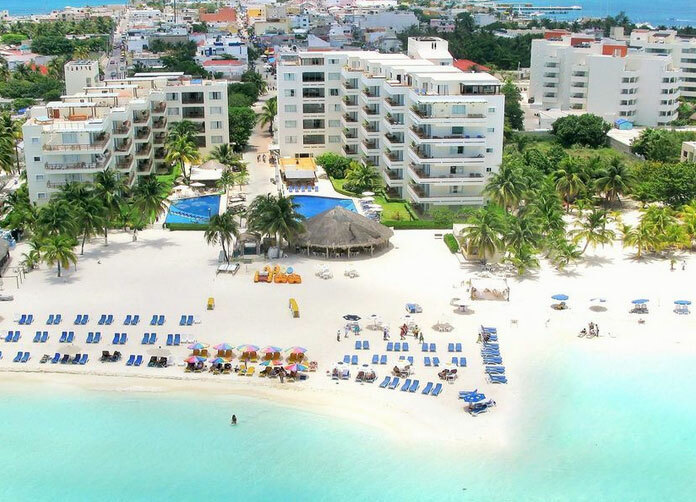 The hotel occupies a prime spot overlooking North Beach, famous for it’s white powder sand, shallow and calm waters and coconut palms on the colorful island of Isla Mujeres in the Mexican Caribbean. Shopping, restaurants and nightlife are just a short walk away. Kalak: Is a poolside restaurant open for breakfast and lunch providing continental breakfast with light main meals and sandwiches at lunchtime. A well stocked bar provides Premium standard International drinks. 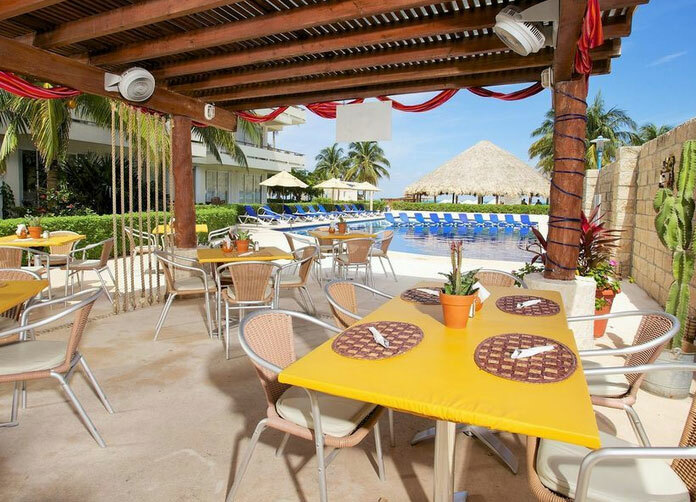 Sunset Grill: Is a palapa style beachfront facility open for breakfast, lunch and dinner. With both a la carte and buffet breakfast service, snacks and seafood at lunch and international dishes for dinner. Again the bar is stocked with Premium brand liquor. Address: Calle Guerrero, Sm1 Mza 17, Playa Norte. Isla Mujeres, Quintana Roo.